Ultrain Co-founder & CEO Ray Guo stated "Trusted computing can reshape the boundaries of trust in the business world to promote a new business model, we hope Ultrain's trust computing service will help establish a programmable business society in the near future"
Ultrain's core product is providing reliable, secure, and cost-effective trust computing service to both enterprises and individual developers. 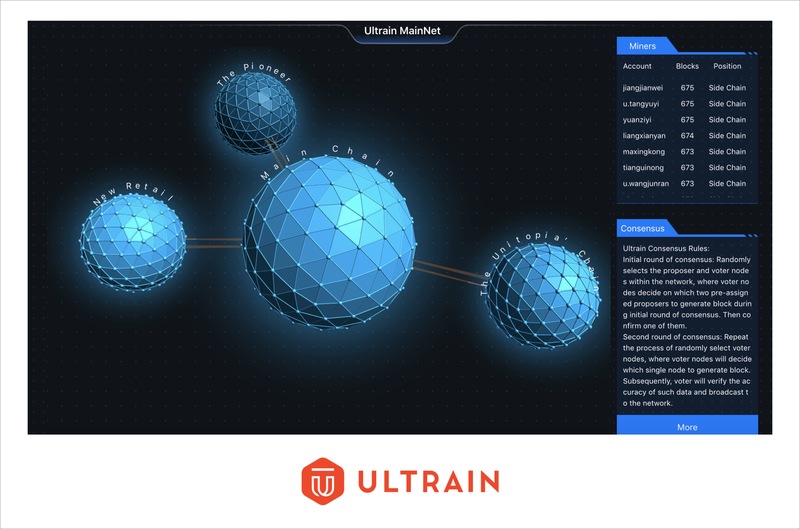 Ultrain was founded at the end of 2017 by three top business and technology leaders: Ray Guo – the former technical director of Alibaba's security business group, Emma Liao – former managing director of Golden Brick Capital, head of IOT for Qihu360, also a seasoned long term M&A banker, and William Li– the former tech head of Ant Financial blockchain team. Other core members include Yufeng Shen – Ultrain's Chief Architect, former senior technical expert of Alibaba's operating system "AliOS" and core architect Google Canada ChromeOS, and Husen Wang – Ultrain's Chief Cryptographer and former lead cryptographer at Ant Financial Blockchain. Last but not least, Ultrain's newest member, Samuel Xiao, completes the team as VP of the ecosystem and business development. As a former partner and CTO of Green Pine Dream Capital, Samuel is responsible for investment and post-investment management. Ultrain's co-founder Emma Liao commented on the progress they made today: "Ultrain will continue focusing on true value creation and try to act as an example for the industry. We will grow in our own way and keep being a global leader." Ultrain's smart contract coding language is based on TypeScript, while its full stack development framework – Robin and U3 – are based on NodeJs, and the virtual machines are based on WebAssebmly. These languages receive the best of both worlds since they allow easy contract development and deployment without compromising security. 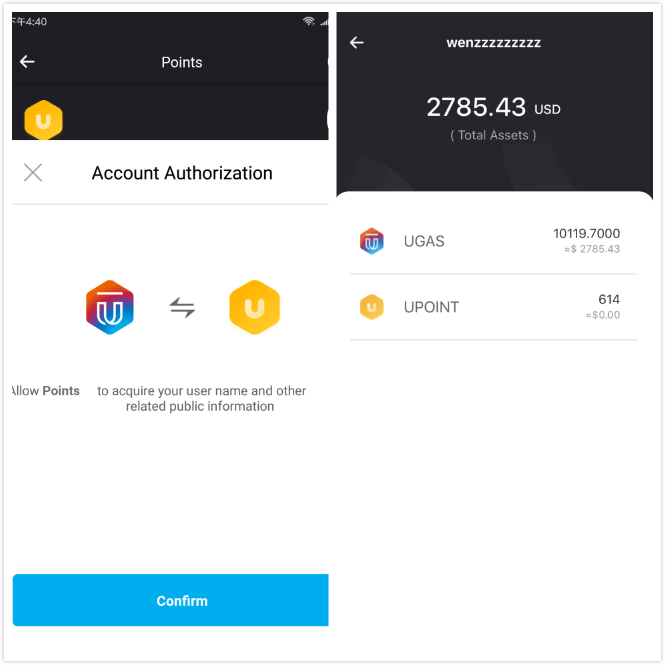 Ultrain's official App – UltrainOne – provides multiple users functions, such as an official multi-chain wallet with an elegant user interface and fast transaction completion. UltrainOne is currently allowing users to create a mainnet account for free as a limited time offer. 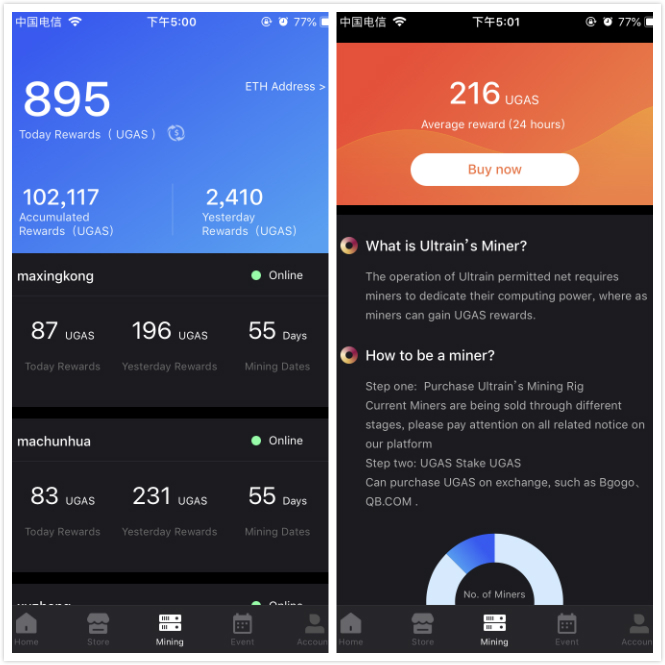 It is the go-to App to experience fast transactions, monitor real-time mining revenue from Ultrain's chain, as well as receive the latest news and updates from Ultrain.